I've always struggled with decorating my baby boy's room. 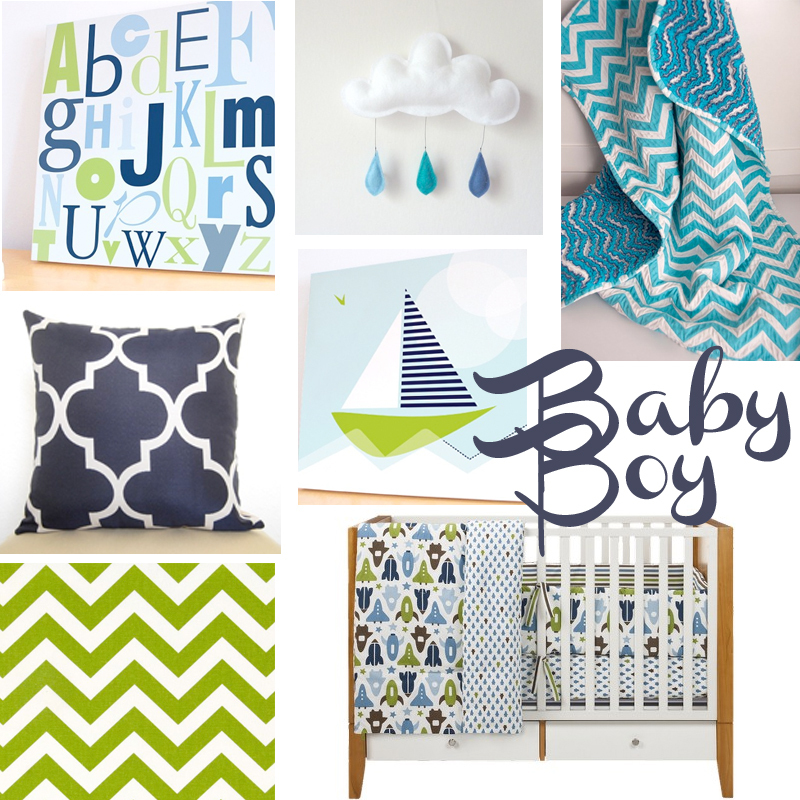 Remember my first confession and mood board when I found out I was having a boy? I was totally freaked out by all things boy. I pulled it together and (on a tight budget) had his room ready and waiting for him in our old house. I talk about it here. Flash forward, two years later. We have a new house, my tastes have somewhat changed from my original mood board and I work full-time. I know, #firstworldproblems. I still favor the color palette though and wanted to keep some of the things I had already made for the room, like the paper mobile. 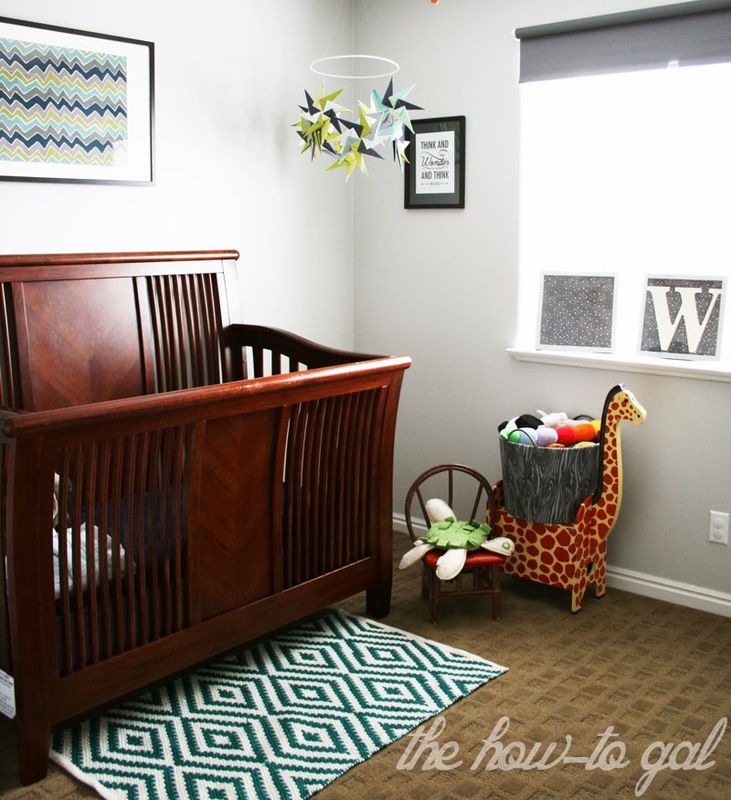 So I ran with it and while I'm still working on William's room, I thought I'd share a quick sneak peek this morning. We painted the room the same shade of gray as the rest of the house. 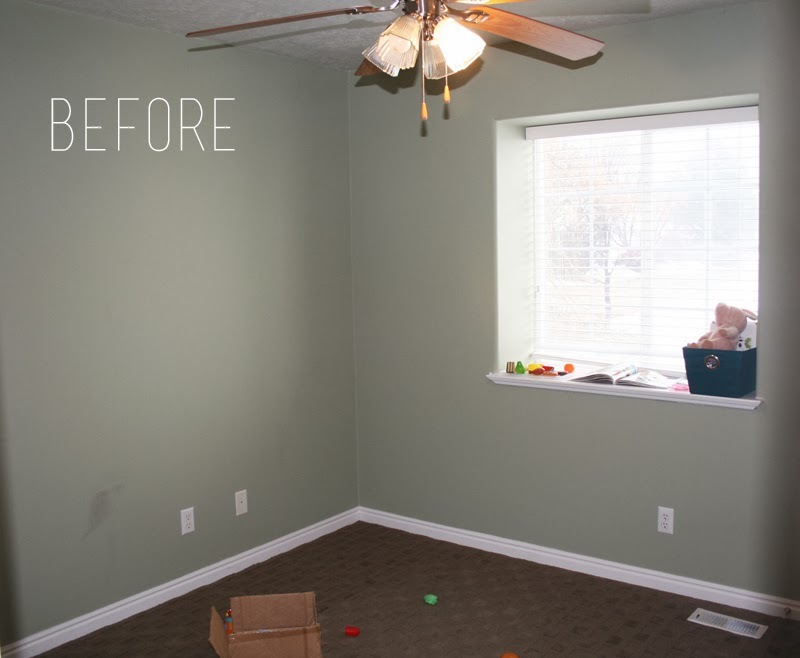 It is amazing how a new wall color can totally change the mood of a room. I still have a ways to go, but I'm so happy with how bright and cheery the room is turning out. Seriously looks like something right out of a magazine. Love it!